Peere Tariqat Hazrat Maulana Shah Abdul Aleem Siddiqui Rehmatullah Alaih is a shinning luminary in the family of the first caliph of Islam Hazrat Abu Bakr Siddiq Radi Allah Ta’ala Anho. He has not only captured the hearts’ of thousands through out the world but has also improved the lives of several people. He came from a very distinguished ancestral background who were all very well respected for their faith, piety, purity, sincerity and intelligence (All praise to Allah). As both scholars and teachers of Tassawuf they were all driven in the same blessed direction: preaching Islam and serving humanity. Their teachings focused on the reconciliation of shariah and tariqat. Their high spiritual devotion and their eagerness in the promotion of Tassawuf made them great Sufis of their time. People by thousands gathered around them, seeking their guidance and spiritual advice. Coming from such a divine lineage, this paved the road for Hazrat Maulana Shah Abdul Aleem Siddiqui Al Quaderi Al Madani Rehmatullah Alaih’s spiritual quest. It was in the blessed month of Ramadaan that the world welcomed the blessed soul and the physical being of Hazrat Saheb (Radi Allah Ta’ala Anho). 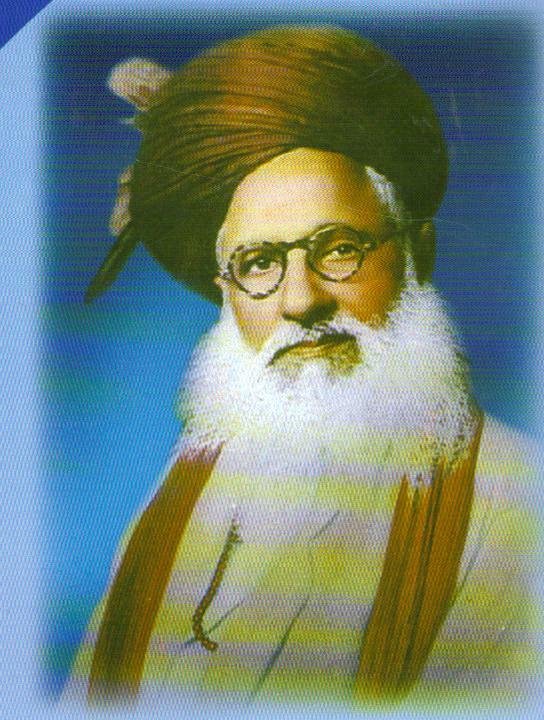 His terrestrial journey began on the 3rd of April 1892 (15th Ramadan 1310) at Meerut (U.P India). 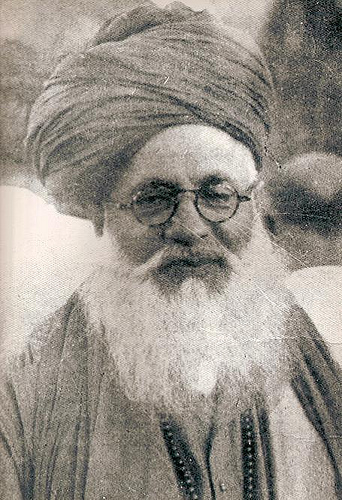 From the time of his birth he was immediately recognized as a gifted child with extraordinary potential, coincidentally during the time of his birth, another famous missionary Hazrat Syed Jamaludin Al Afghani Rehmatullah Alaih a direct descendant of the Holy Prophet (Sallallahu Alaihe Wassallam) was about to leave the world. Many sages had already foreseen this child as a roving ambassador of Islam. From the time of his birth he was instantaneously immersed into an atmosphere of deep religious and spiritual values. His mother was a deeply pious and caring woman while his father, Hazrat Abdul Hakeem Rehmatullah Alaih was an illustrious scholar as well as a highly and well-respected human being. His parents affectionately nurtured him with a healthy spiritual and an emotional environment. As his young years progressed he slowly inherited the knowledge and deep-rooted spiritual discipline of his father and grandfathers. Regardless of his tender age, because of his highly elevated spiritual capacity he was initiated into his father’s spiritual order. Maulana Sahab (Radi Allah Ta’ala Anho) was an exceptionally intelligent child, since his childhood he proved to have an intellectual capacity beyond his years. He brilliantly finished the memorization of the Holy Quran at the age of 4 years and ten month at the Madrassa Islamia Arabia, Meerut. He studied Urdu, Persian, and Arabic from the blessed companionship of his father. At the age of only 9, his oratory skills matured and he consequently delivered his first public speech at the Jamma Masjid of Meerut. He mesmerized the audience for 90mins with his captivating eloquence. His father left this world when Maulana Sahab (Radi Allah Ta’ala Anho) was only 12 years old. It was a very sad turn in his life but coming from one of the greatest faiths he put all trust in the Almighty and persevered in his Islamic studies and the betterment of humanity. At the age of 16, in 1913 he graduated with distinctions in his Theology degree. He pursued his education at the Divisional College of Meerut where he studied modern subjects and Law. His motivation to proliferate Islam inspired him to acquire more knowledge. He met with Hazrat Maulana Shah Ahmad Raza Khan Bareilly (Radi Allah Ta’ala Anho) who was then the greatest living Islamic scholar, who had agreed to become his mentor. During his apprenticeship with Hazrat Maulana Shah Ahmad Raza Khan Bareilly (Radi Allah Ta’ala Anho) he had the opportunity to absorb many lessons and teachings from this great scholar. He acquired an advanced knowledge in Quranic Rules, Hadith, Tassawuf and the four Islamic laws in Mecca and Madina under the strict guidance of Sheikh Ahmad As-Sams (Radi Allah Ta’ala Anho) of Morocco, Sheikh As-Sunnua (Radi Allah Ta’ala Anho) of Libya and Maulana Abdool Baqi of Ferrangi Mahal of Madina. Maulana Sahab (Radi Allah Ta’ala Anho), also studied the Arabian Medicine System from Hakim Qazi Inteshanuddin of Meerut. The knowledge of medicine imparted to him had proven to be of great help for his humanitarian efforts and serving the ailing population in many countries. Peere Tariquat Hazrat Maulana Abdul Aleem Siddiqui (Radi Allah Ta’ala Anho) was already swimming in the ocean of Ishq (love) that led him to adhere to a stable spiritual life. His mission started when he was ordered by his spiritual teachers to visit the Holy Land of Mecca. His journey to Mecca was the culmination of his spirituality, it was at that pinnacle moment that his lessons in ‘Baatin’ (inner) had to be lived in “zahiri’ (exterior). He set himself, body & soul to the pilgrimage in 1919. His life took a different turn when he stepped on the doorway of our Beloved Prophet Sallallahu Alaihe Wasallam. He was warmly welcomed, as our Beloved (Sallahu Alaihe Wassallam) blessed the heart of Hazrat Saheb. Immediately he was convinced and inspired that he was a man chosen by Allah The Almighty and our Beloved prophet (Sallahu Alaihe Wassallam) to sacrifice his entire life to the service of humanity. His mission was handed over by beloved Prophet (Sallahu Alaihe Wassallam) to his heart and soul. This was when his real journey commenced. He endured many painful obstacles and tribulations, but continued to persist through them with admirable patience. His heart was set to acquire the inner knowledge that he was taught during his early years. His approach to Tassawuf and spirituality was a distinctive feature that differentiated Hazrat Sahab (Radi Allah Ta’ala Anho) from other living scholars. The desire to spread the teaching of Islam became so intense, that he traveled far and wide not only to spread Deen Islam and to enrich people’s conception about spirituality but also for the gratification of his soul. Jab Chasame Basirat se Dekha, hein Dil ke Andar Tu Hi Tou. He traveled through out the entire globe for 30 years with that sacred inspiration and mission: to revive humanity and reveal the truth to everyone’s heart. He was not only a scholar, but also a highly endowed spiritual master conveying the message. He brought spiritual illumination to the hearts of thousands; Muslims and Non Muslims. His prayers had given hope to many that were struck by incurable illnesses. People around the world felt the sweetness of his presence. Many were attracted by his sincerity, others by the manifestation of a divine light, which encompassed his entire being and many others, by his friendly and compassionate attitude. His blessed presence and spiritual magnetism had given new impetus to the religious and social lives of thousands. He had gained a high esteem in everybody’s heart and continues to be remembered by so many as a great Sufi and spiritual leader. Hazrat Sahab was such a highly endowed Sufi that his intelligence conquered eminent persons such as leaders and statesmen of different religious beliefs. His spiritual achievements were enormously admired and many political leaders and businesses sought his guidance in their matters. He had instilled purity and spirituality in the hearts of those he met. Even the celebrated intellectuals of the west had the opportunity of admiring this great saint of Islam. We cannot forget the infamous encounter between Hazrat Sahab (A Theologian) and George Bernard Shaw (A Scholar). Hazrat Sahab’s main intention was to help Mankind by means of instigating the knowledge of Islam. One of his achievements was the pressure he gave the Arabian government, with the support of the Muslims Leaders around the world, to eliminate the unjust imposition of the Hajj tax. The Saudi government clearly understood his concern and the next year itself the Hajj tax was reduced. In the wake of his visits to different part of the world, he urged Muslims to build orphanages for the helpless youths, infirmaries for the destitute, hospitals for the suffering, spiritual assemblies for spiritual discipline, libraries for the preservation of the Islamic traditions and intellectual heritage, several masajids, organizations of Ulemas for the coordination of Islamic forces, Muslim youth Brigade & Muslims scouts for the physical and moral discipline of the youth. It was the 22nd of Zil Hadj (August 22, 1954) at the age of 63 after a last visit with our beloved Prophet Sallallahu Alaihe Wa Sallam that Hazrat Maulana Shah Abdul Aleem Siddiqui Al Quaderi Rehmatullah Alaih left this world for the hereafter. Allah the Almighty had responded to his prayers, as he always wanted to be buried in Madina Munawara. His body rests peacefully at the Jannatul Baqqi near the tomb of Hazrat Ayesha Siddiqua Radi Allahu Ta’ala Anha. And accept me as your devoted follower. And help me to awake from my slumber. And on thee I depend for guidance in this world, so help me. But with thy Light my abode will be filled with nur. And cause me to die besides thy blessed rawda.